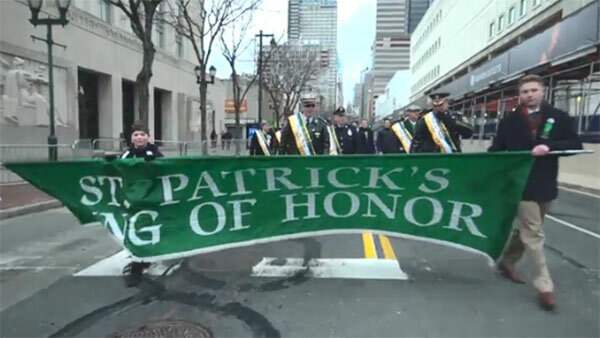 PHILADELPHIA (WPVI) -- The City of Philadelphia has announced road closures and parking information for the St.Patrick's Day parade. The event will be held Sunday, March 11, starting at 11:15 a.m. This year's parade will take a route starting off 16th and JFK, through historical Independence Mall, and ending at Penn's Landing. The performing area and main grandstands will be located at 5th and Market Streets. Further details regarding the parade and the new route information can be found at PhillyParade.com. The St. Patrick's Day Parade will happen rain or shine. Delays can be expected during the course of the event. Motorists are advised to avoid the area by using alternate routes, and allow for extra driving time in areas near the event. Please refrain from double-parking, which creates congestion, limits traffic flow and is illegal. All participants in the march will enter at 20th and Market Street and assemble from 20th Street to 16th Street along John F. Kennedy Blvd. beginning at 9:00AM. The parade will commence at 11:15AM. The parade will start at 16th Street and John F. Kennedy Boulevard and proceed eastbound to Penn's Landing, with the performing area and main grand stands located at 5th and Market Streets. The parade is scheduled to conclude at 3:00PM. SEPTA Bus Routes 2, 4, 5, 16, 17, 21, 23, 42, 45, 27, 31, 32, 33, 38, 44, 47, 47M, 48, 57, 61, 124 and 125 will be detoured from their normal routes through the Center City area and Old City area beginning at 7:30AM on Sunday, March 11th through approximately 5:00PM. Detours will be posted and specific route changes are available on the System Status Page at www.septa.org. Attendees utilizing Regional Rail Lines are strongly discouraged from carrying bags, backpacks, or satchels of any kind. All bags are subject to search, and therefore, the presence of bags could create delays in allowing attendees to enter the event. Attendees will not be permitted onto Regional Rail with cups or liquids of any kind. In addition, the public should expect congestion in the area. If you are attending the event, make a plan regarding driving, public transit, parking, and supervision of children. We recommend that attendees wear comfortable, weather-appropriate attire.